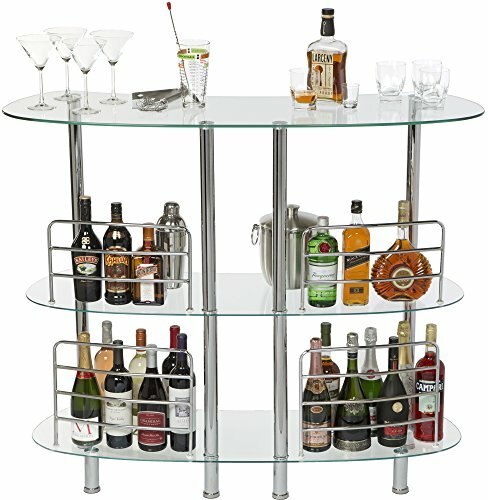 The perfect accompaniment for your home bar, the Catalina Bar Table features three tempered safety glass shelves, polished aluminum mounts, and chrome plated steel support. Also available in wood version. Measures 48 inches wide, 23.5 inches deep, and 18 inches high.